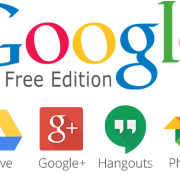 Google Apps a.k.a Google Apps legacy account has always been a point of interest among all webmasters and website owners, as it allows users to have custom branded email id like contact@yourdomainname.com for free of cost. But unfortunately from December 6, 2012, Google has announced a change to Google Apps for Business — ending the free version of the product, offering only its Premium version which costs $50 per user, per year or $5 per user per month, regardless of the size of the company. The change was announced on Google’s Official Enterprise blog. Existing Google Apps for business users who have free accounts get to carry on without paying the subscription fee but businesses wanting to sign up from now with have to pay.